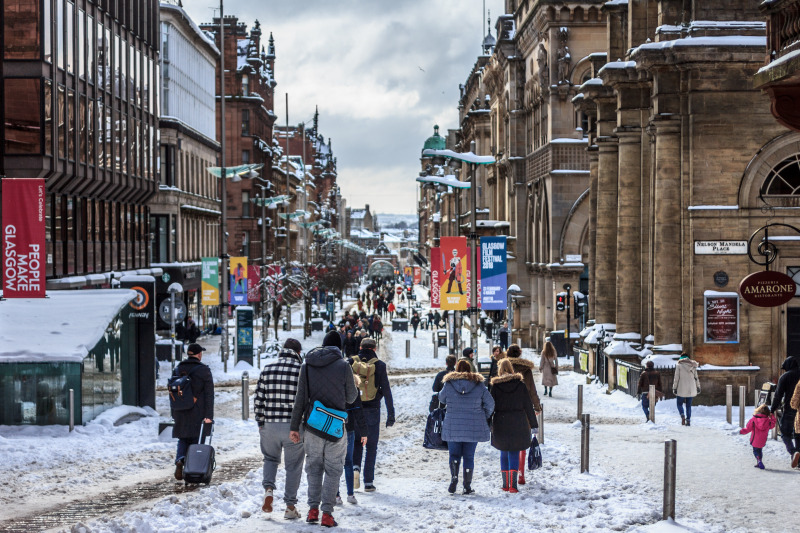 Winter weather saw the department store chain’s total sales dip 4.4% for the week, despite a huge uplift in heating products, as the retailer also announces collaboration with Swoon. Trading in the home category was down 6% for the week, whilst electrical and home technology sales were down 5.1%. However, the cold weather did see increases in some categories, with sales of boots up 100% and sales of heating products up 200% on last year. Meanwhile, sales of John Lewis’ new season, own-brand House range were up 7%, and the retailer also reported a 7.7% uplift in gift, as customers started to shop for Valentine’s Day. This week John Lewis also announced the launch of an exclusive, new collaboration with furniture brand Swoon, which will be available in 11 of its 50 shops across the UK and on johnlewis.com from the end of February. The collection of statement furniture is the creation of Swoon’s in-house design studio and has been manufactured by John Lewis & Partners. It comprises 20 living room pieces, including bar trolleys and storage solutions, plus four upholstery pieces, offered in a range of different fabrics. Swoon already has concessions in Debenhams stores across the UK, after a successful first trial for the online brand with a 2,000sq ft retail space in Debenhams Westfield White City. The format was rolled out to 10 further Debenhams stores last year: Brighton, Bristol, Cardiff, Chelmsford, Clapham, Edinburgh, Glasgow, Guildford, Manchester, Watford. Swoon ranges are also available on Debenhams website. However, it is the first time Swoon has created a collection in collaboration with another retailer. Swoon head of design Sam Baldry said of the collection: “It's the first time we have designed exclusively for a brand other than ourselves and the collection is stunning. It brings to life the signature Swoon aesthetic everyone has come to know and love - we have played with deep bold colour palettes, the use of textured wood and a mix of vintage art deco inspired shapes in each piece. We are extremely excited to finally reveal and share the collection with John Lewis and Swoon customers and home enthusiasts alike.